Keila Banks, our young LinuxChix LA Super Star just got a wonderful interview in Linux User & Developer Magazine! She gave a shout out to the LinuxChix and included a picture of us. I am extremely humbled and proud . . . 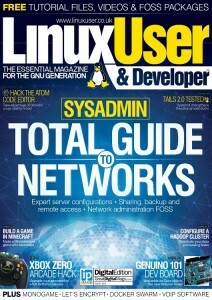 Pick up the latest issue of Linux User & Developer, Issue 163! Pictures of Keila’s article will be posted as soon as we get a hold of the issue at the local book retailer! Bookmark this article Keila Banks, Our LinuxChix LA Super Star in the latest Linux User & Developer Magazine :-) !!!!!!!!!!!!!!!!!!!!!!!!!!!!!!!!!!! The LinuxChix LA are now on meetup.com :-) !!!! !